The CBC-Radio-Canada decision desk is projecting Denis Coderre will win the Montreal mayor race. Coderre won in an election that he dominated in the polls, despite a few surprises from challengers, the resignation of one of his high-profile candidates and the quick-gaining popularity of political newcomer, lawyer Mélanie Joly. Joly, Projet Montréal’s Richard Bergeron and Coalition Montréal’s Marcel Côté failed to gain the ground needed to overtake the man whose political experience and recognition factor helped keep him ahead of the pack. However, the trio saw their own standings change throughout the campaign. Côté, who led a coalition that included Louise Harel’s Vision candidates, was initially considered a front runner but saw his numbers slip early in the campaign. The self-proclaimed “big dreamer," whose plans included a controversial tramway system and social-policy focused initiatives, Bergeron also failed to gain enough support to overcome Coderre in his third run for mayor of the city. This was the first Montreal mayoral race without an incumbent since 1986, when Jean Drapeau’s retirement left the field open. The city has been run by two consecutive interim mayors since late 2012 when Gerald Tremblay stepped down amid corruption allegations involving his Union Montréal party. Michael Applebaum, the former executive committee head who took the reins after Tremblay resigned, stepped down himself in June after he was arrested by the province’s anti-corruption unit and charged with breach of trust, fraud, conspiracy and municipal corruption. Laurent Blanchard, who was elected by council as interim mayor after Applebaum’s resignation, ran under the Coalition Montreal banner for city councillor in Hochelaga this election. Questions surrounding how to clean up city hall and how pervasive the problem remains dominated much of the campaign, ultimately taking down one of Coderre’s own candidates. St-Léonard councillor, and former Union Montreal member, Robert Zambito stepped out of the council race earlier this week after he was asked to do so by Coderre. In a written statement, Zambito said he decided to leave after hearing Radio-Canada&apos;s investigative program, Enquête, was planning to report that he had profited from a land deal by taking advantage of his position on council. Zambito denied the allegations but said he stepped down to lessen the impact on Coderre’s team. In total, 22 former Union Montreal elected members, including Zambito, ran under Coderre&apos;s banner this election. 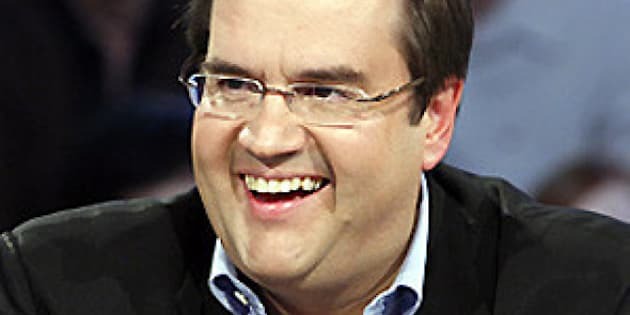 Coderre maintained he had every confidence in his team and that any of his competitors would have been happy to have the incumbent candidates if given the chance. During the campaign, Coderre vowed to clean up city hall by establishing an inspector general position at city hall with the power to intervene and stop projects identified as fraudulent or tainted by collusion. He also promised to overhaul the city’s transparency principles surrounding city-held data and making planning and consultation committee sessions open to the public. Coderre entered politics in 1988, losing several federal elections before he came to power in Montreal’s Bourassa riding in 1997. He held several cabinet positions while the Liberals were in power including immigration minister, secretary of state for amateur sport and minister responsible for La Francophonie. He also briefly served as Quebec lieutenant for former Liberal leader Michael Ignatieff and served as defence critic when the Liberals were the official opposition. He stepped down in June to mount his run for mayor.